DAVEY, Frank [Ed]. OPEN LETTER 8:7. 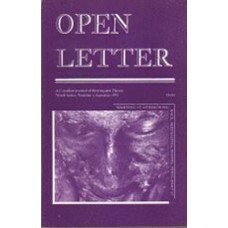 London: Open Letter, 1993. First Edition. 8vo. Perfect bound int..
DAVEY, Frank [Ed]. OPEN LETTER 9:4. Race, Gender, Region. 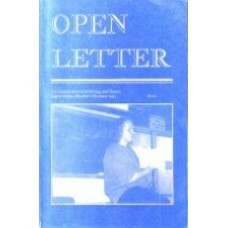 London [Ontario]: Open Letter, 1995. First..
DAVEY, Frank [Ed]. 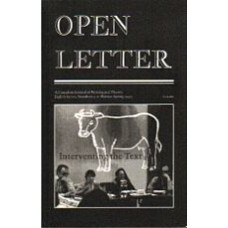 OPEN LETTER 9:9 Summer 1997 Questions & Questions. 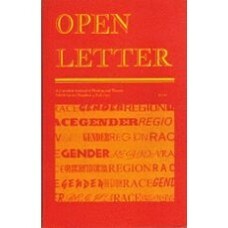 London: Open Letter, 1997. Fir..
DAVEY, Frank; MUNTON, Ann [Eds]. OPEN LETTER 6:2-3. 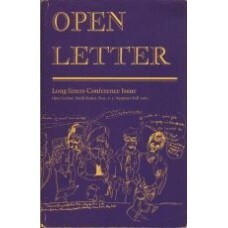 Long-liners Conference Issue. Toronto: Open Lett..
DERKSEN, Jeff [Ed]. OPEN LETTER 10:1. Disgust and Overdetermination: a Poetics Issue. London [Ontari..
DICKINSON, Adam; LOVEGROVE, Jennifer. HIJ Eight. Toronto: BookThug, 2014. Limited Edition. 163x120mm..
DORSCHT, Susan Rudy [Ed]. OPEN LETTER 9:3. Wanting it Other/Wise: Race, Sexualities, Bodies, Texts (..
DORSCHT, Susan Rudy; MATHUR, Ashok; WAH, Fred [eds]. OPEN LETTER 8:5-6. Winter-Spring 1993. Interven..
DUDEK, Louis [Ed]. DELTA 20. Montreal: Delta, 1963. First Edition. 235x156mm. Stapled Wrappers. Very..
DUDEK, Louis [Ed]. DELTA 23. Montreal: Delta, 1964. First Edition. 235x156mm. Stapled Wrappers. 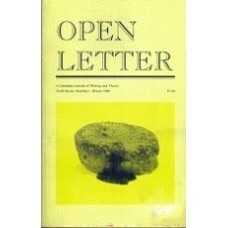 Very..
Toronto: Open Letter, 1986. First Edition. 8vo. Perfect bound into Wrappers. Very Good. 270pp. Illus..
Emerson, Lori [ed]. 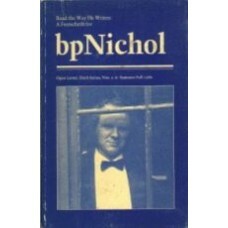 OPEN LETTER 13:8: bpNichol + 21. 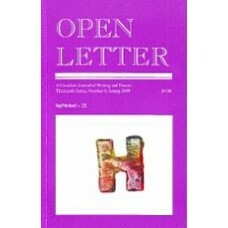 Strathroy: Open Letter, 2009. First Edition. 8v..